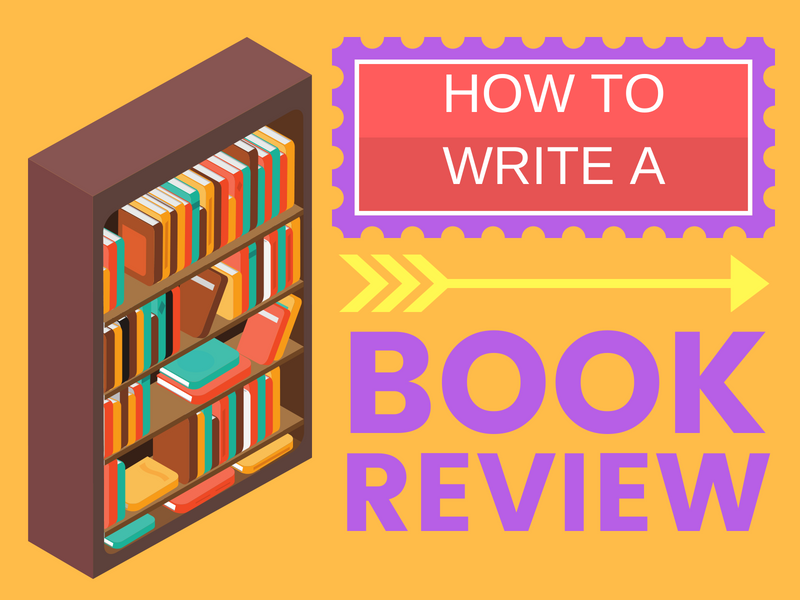 Learn how to write an excellent book review. Planning tools, video tutorials, writing prompts and teaching ideas for English teachers, students and parents. Traditionally, book reviews are written evaluations of a recently published book in any genre. Usually around the 500 to 700 word mark, they offer a brief description of a text’s main elements while appraising the work’s overall strengths and weaknesses. Published book reviews can appear in newspapers, magazines, and academic journals. 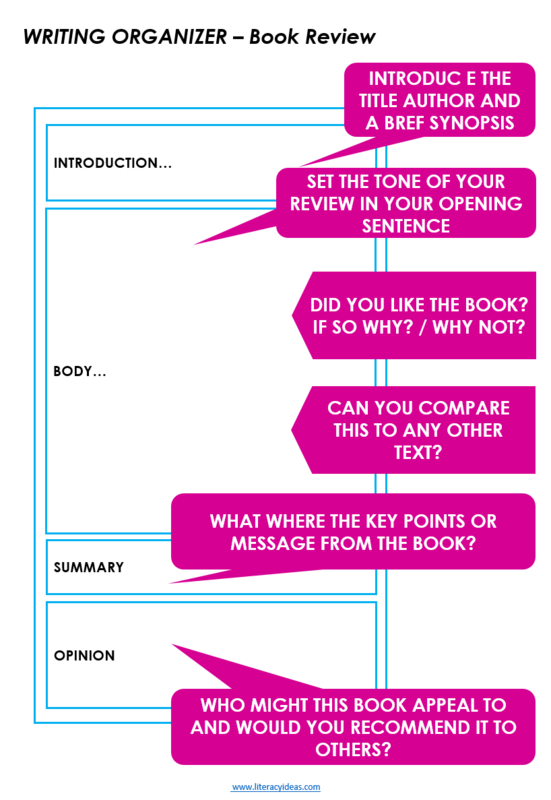 They provide the reader with an overview of the book itself and indicate whether or not the reviewer would recommend the book to the reader. There was a time when book reviews where a regular appearance in every quality newspaper and many periodicals. They were important elements in whether or not a book would sell well. A review from a heavyweight critic could often be the deciding factor in whether a book became a bestseller or a damp squib. In the last few decades however, the book review’s influence has waned considerably with many potential book buyers preferring to consult customer reviews on Amazon, or sites like Goodreads, prior to buying. As a result, the book review’s appearance in newspapers, journals, and digital media has become less frequent. Why Bother Teaching Students to Write Book Reviews At All? ● Improve their own reading, writing, and thinking skills. Not to Be Confused with a Book Report! While the terms are often used interchangeably, there are clear differences in both the purpose and the format of the two genres. Generally speaking, book reports aim to give a more detailed outline of what occurs in a book. A book report on a work of fiction will tend to give a comprehensive account of the characters, major plot lines, and themes contained in the book. Book reports are usually written around the K-12 age range, while book reviews tend not to be undertaken by those at the younger end of this age range due to the need for the higher level critical skills required in writing them. At their highest expression, book reviews are written at college level and by professional critics. Evaluate the book with a critical mind. The whole is greater than the sum of all its parts. Review the book as a WHOLE. Where appropriate compare to similar texts and genres. You are going to have to inevitably recommend or reject this book to potential readers. Take a stance and stick with it throughout your review. You are writing about a book you have already read. Whatever your stance or opinion be passionate on it. Your audience will thank you for it. Both active and passive voice are used in recounts. ● Title: Often, the title of the book review will correspond to the title of the text itself, but there may also be some examination of the title’s relevance. How does it fit into the purpose of the work as a whole? Does it convey a message, or reveal larger themes explored within the work? ● Author: Within the book review there may be some discussion of who the author is and what they have written before, especially if it relates to the current work being reviewed. There may be some mention of the author’s style and what they are best known for. If the author has received any awards or prizes, this may also be mentioned within the body of the review. ● Genre: A book review will identify the genre that the book belongs to, whether fiction or nonfiction, poetry, romance, science-fiction, history etc. The genre will likely tie-in too with who the intended audience for the book is and what the overall purpose of the work is. ● Book Jacket / Cover: Often a book’s cover will contain artwork that is worthy of comment. It may contain interesting details related to the text that contribute to, or detract from, the work as a whole. ● Structure: The book’s structure will often be heavily informed by the genre it is in. Have students exam how the book is organized prior to writing their review. Does it contain a preface from a guest editor, for example? Is it written in sections or chapters? Does it contain a table of contents, index, glossary etc? While all these details may not make it into the review itself, taking a look at how the book is structured may reveal some interesting aspects. ● Publisher and Price: A book review will usually contain details of who publishes the book and its cost. A review will often provide details of where the book is available too. When writing a book review your goal is to go beyond simply scratching the surface and make a deep analysis of a text. ● Characters: Who are the main characters? What are their motivations? Are they convincingly drawn? Or they empathetic characters? ● Themes: What are the main themes of the work? Are there recurring motifs in the work? Is the exploration of the themes deep or surface only? ● Style: What are the key aspects of the writer’s style? How does it fit into the wider literary world? ● Plot: What is the story’s main catalyst? What happens in the rising action? What are the story’s subplots? A book review will generally begin with a short summary of the work itself. However, it is important not to give too much away, remind students - no spoilers, please! For nonfiction works this may be a summary of the main arguments of the work, again, without giving too much detail away. In a work of fiction, a book review will often summarise up to the rising action of the piece without going beyond to reveal too much! The summary should also provide some orientation for the reader. 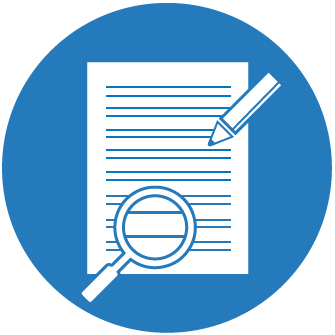 Given the nature of the purpose of a review, it is important that students’ consider their intended audience in the writing of their review. Readers will most likely not have read the book in question and will require some orientation. This is often achieved through introductions to the main characters, themes, primary arguments etc. This will help the reader to gauge whether or not the book is of interest to them. Often when teaching essay writing we will talk to our students about the importance of climbing up and down the ladder of abstraction. Just as it is helpful to explore large, more abstract concepts in essay by bringing it down them down to Earth, in a book review it is important that students can relate the characters, themes, ideas etc to their own lives. Book reviews are meant to be subjective. They are opinion pieces and opinions grow out of our experiences of our experiences of life. Encourage students to link the work they are writing about to their own personal life within the body of the review. By making this personal connection to the work, students contextualize their opinions for the readers and help them to understand whether the book will be of interest to them or not in the process. Just as it is important to climb down the ladder of abstraction to show how the work relates to an individual life, it is important to climb upwards on the ladder too. Students should endeavor to show how the ideas explored in the book relate to the wider world. The may be in the form of the universality of the underlying themes in a work of fiction, or, for example, the international implications for arguments expressed in a work of nonfiction. A book review is a subjective piece of writing by its very nature. However, just because it is subjective does not mean that opinions do not need to be justified. Make sure students understand how to back up their opinions with various forms of evidence, for example, quotations, statistics, and use of primary and secondary sources. As with any writing genre, encourage students to polish things up with review and revision at the end. Encourage them to proofread and check for accurate spelling throughout, with particular attention on the author’s name, character names, publisher etc. It is good practice too for students to double-check their use of evidence. Are statements supported? Are the statistics used correct? Are the quotations from the text accurate? Mistakes such as these uncorrected can do great damage to the value of a book review as they can undermine the reader’s confidence in the writer’s judgement. The discipline of writing book reviews offers students opportunities to develop their writing skills and exercise their critical faculties. Book reviews can be valuable standalone activities, or serve as a part of a series of activities engaging with a central text. They can also serve as an effective springboard into later discussion work based on the ideas and issues explored in a particular book. Though the book review does not hold the sway it once did in the mind’s of the reading public, it still serves as effective teaching tool in our classrooms today.